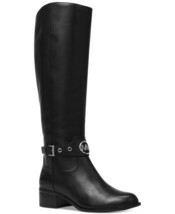 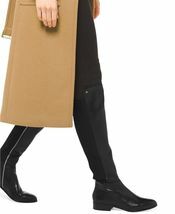 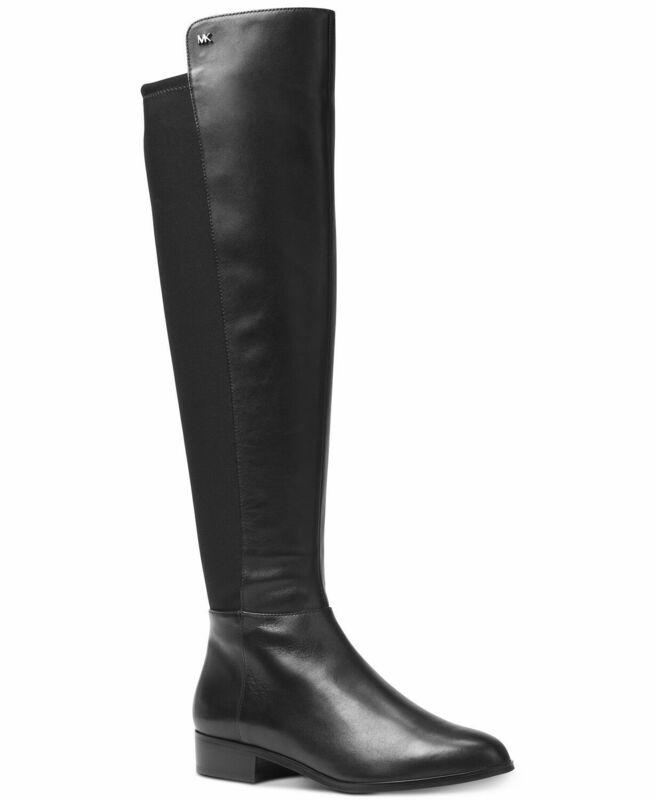 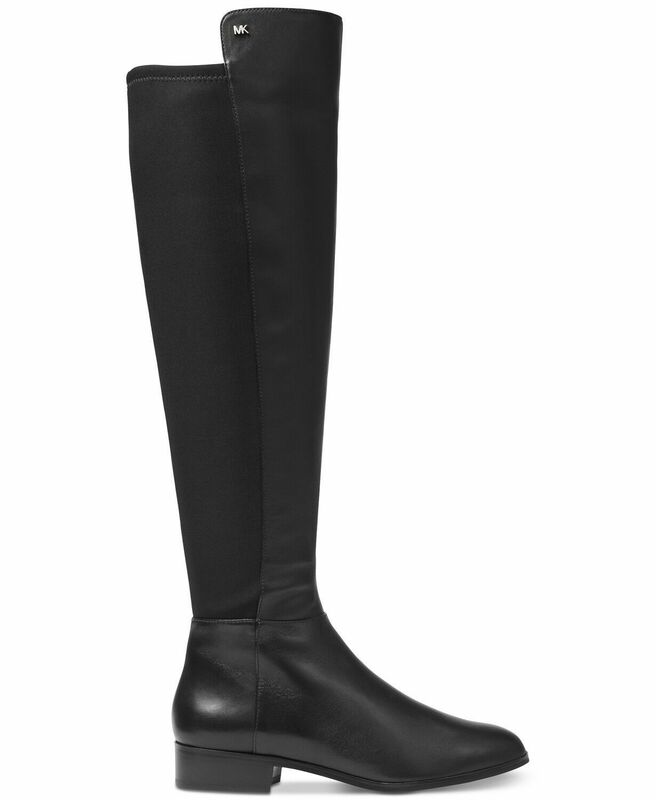 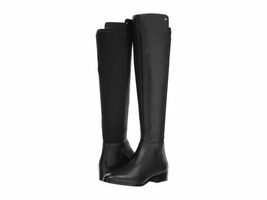 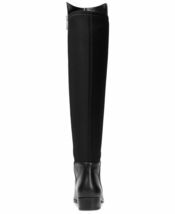 You'll totally stand out in this long, lean, leggy boot from MICHAEL Michael Kors. 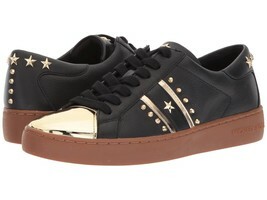 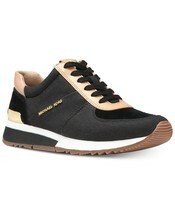 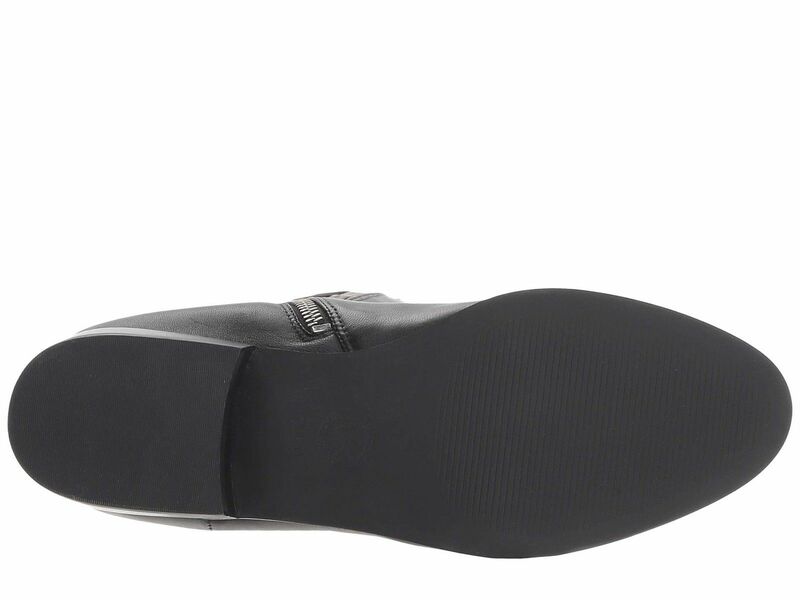 Its supple leather upper with a stretch panel wraps comfortably from toe to knee. 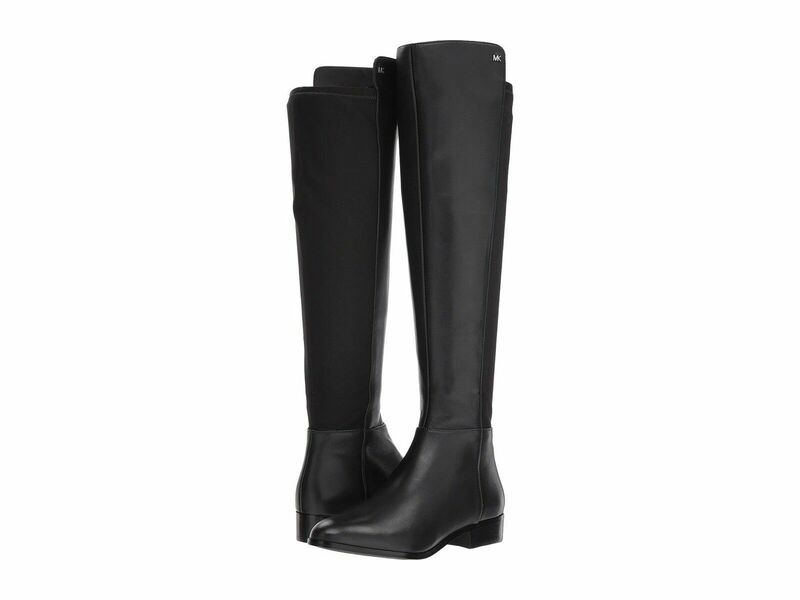 The stacked heel adds just the right amount of lift to skinny jeans, leggings and flattering miniskirts.